The Dallas Firefighters Museum is pleased to house this historical piece gifted to them by the school children of Dallas. 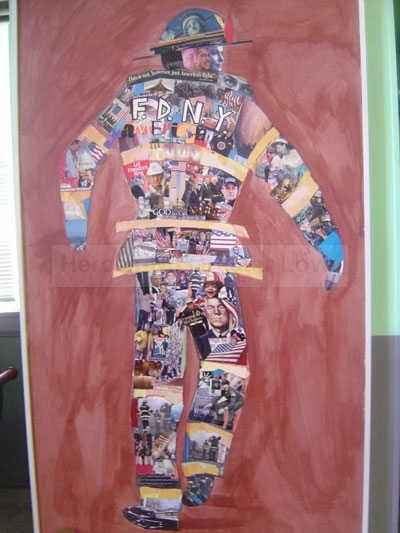 As you begin to look closely you will notice pieces of historical data have been pasted together in the form of a firefighter representing the heroic aspect of all firefighters throughout our nation especially those who give their lives to save others during large disasters. Touch the picture above to see the Curator of the Museum, Kenn Dodd. Below are close ups of the artwork above.